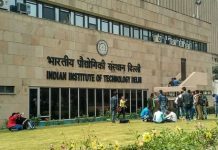 Ropar: IIT Ropar hosted the 3rd International Conference on Condition Assessment Techniques in Electrical Systems (CATCON) between 16th to 18th November 2017. 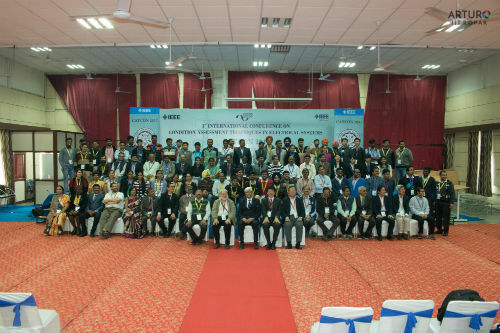 The conference hosted by the Department of Electrical Engineering, Indian Institute of Technology Ropar saw extensive participation from internationally renowned delegates. The conference was previously hosted by CPRI, Bangalore in 2015 and was held by Jadavpur University, in 2013. Compared to the past versions the present conference received about double the number of technical research papers in the condition monitoring of power equipment, an area which is attracting growing importance in developing countries like India and China. Speaking on the inaugural ceremony, the Director, Prof. Sarit Kumar Das emphasized the importance of the conference and described it as one of the true international conferences being held in India and was happy that IIT Ropar is leading in research and technology. Dr. Sahambi, the officiating head of the department of Electrical Engineering, said that it is the first conference of the Department of Electrical Engineering, IIT Ropar, and a great success. The first day of the conference saw intensive technical discussions during five tutorials from leading power sector company, ABB Sweden, by Dr. Santanu Singha and Dr. Subrat Kumar Sahu, Prof. Yasuhiro Tanaka from Tokyo City University, Prof. S. V. Kulkarni from IIT Bombay, Prof. Aiman El-Hag from American University of Sharja. On the second day, there were three plenary sessions from most experienced, world renowned Prof. L. A. Dissado, University of Leicester, United Kingdom, Prof. L. Satish from IISc Bangalore, Prof. Toan Phung, UNSW, Australia. The day also saw around 50 technical paper presentations from India and abroad, held in three parallel sessions. The last day had three plenary sessions from Prof. Sivaji Chakravorty, Director, NIT Calicut, Prof. Tatsuki Okamoto, Tohoku University, Japan and member of CRIPI, Japan and Prof. Sarathi Ramanujam from IIT Madras. The plenary sessions were followed by around 50 technical papers and the conference ended in Valedictory function. The conference was sponsored by IEEE DEIS, IEEE Delhi Section, CPRI, Bender India, Agmatel, Megger India Ltd and many other industries and organized by IIT Ropar.